Home > Business Technology > Why does business agility matter now more than ever? Why does business agility matter now more than ever? Business agility is not a new concept. It gained popularity after the turn of the century thanks in part to the writings of former General Electric CEO Jack Welch. “When the rate of change outside exceeds the rate of change inside, the end is in sight,” Welch wrote in his 2003 tome, Straight from the Gut. Change or die. It is a pretty simple concept! And that is why IFS is devoting substantial resources (see the first in our series of business agility whitepapers) to making the case for increased business agility, not only in the thinking of executives and the intelligentsia, but in the technology infrastructure that enables the business on a day-to-day basis. That infrastructure up to and including enterprise resource planning (ERP) software must be built for change. ERP is after all where the intentions of business leadership is translated into action through systems. And it is the central source of business information that must ensure executive management doesn’t, in the words of that immortal bard Bob Dylan, need a weather man see which way the wind is blowing. It must reveal which changes are required and allow the structure and nature of the business to change, even expedite that change. It must not, as is too often the case, throw up barriers to ongoing reconfiguration of business processes and business models. In the industrial space, change is accelerating. Changing technology and consumer demand are shortening product lifecycles — new models flank each other on an ever-shortening cycle as whichever vendor offers a new feature months or weeks before the other may benefit in terms of market share. Business-to-business vendors are being pushed to add value to their products, engineering them to customer order or managing inventory at a vendor site. Some are even finding their business customers demand that they compute the environmental footprint of the products they are selling. Those that have the flexibility to quickly add these capabilities, and profitably deliver them, will win in the market. Over the five years preceding a study by IFS, more than half, 54%, say they have added modes at least twice. What if our business changes shortly after — or even during — software implementation? How much effort is required to make changes to the software once it is in place in our business? If we acquire another company or start a new division in another country, what level of effort is required to add that new entity in the system? What if the new entity operates differently than the parent company? Can we still run on the same enterprise system? Whether it is the ability to handle business change demanded by the market or advancing technology like mobility or social business, enterprise software must adapt and allow the business to adapt with minimal disruption. 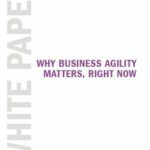 The first in a series of whitepapers on business agility is now available. Download it today! This is something IFS has been passionate about since at least 1994, when we became perhaps the first enterprise software vendor to break its application suite up into flexible components united by a service oriented architecture. 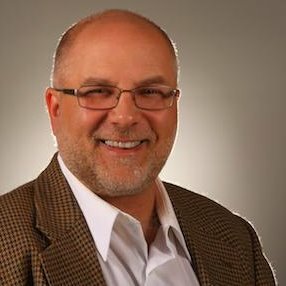 We have taken this to heart with each new development and technology we have added to IFS Applications; an increasing number of open application program interfaces, a simple and flexible approach to enterprise mobility, and support for the increasing support for aftermarket service and other new profit centers essential to our customer base. We have learned a lot about business agility over the decades. And we will compress what we have learned about the importance of agility and how it can be facilitated or hindered by enterprise software in a series of whitepapers. Read the first in this series today. And let us know what you think.